Signs are everywhere. Most are poorly rendered, cheaply constructed or added as an afterthought and most of the time neglected in consideration to durability and long-term maintenance. In short, these signs are made with little consideration to design. Discerning architects and contractors know the purpose of a sign is to direct the reader to a specific location or to understand a particular piece of information. However, for these individuals great design does not end there. It can’t. Government regulations such as The American Disabilities Act (ADA) and Federal Safety Sign Requirements places high demands on sign design for commercial use. Add to this the need for maintenance, updates and durability for the public and you have a project that requires great design. 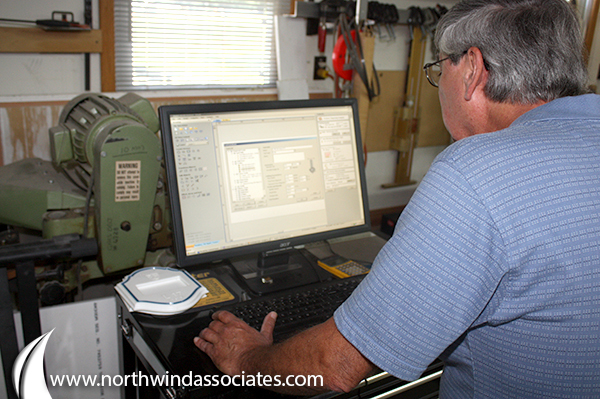 Northwind Associates begins each project with great design in mind. With careful consideration to the needs of each individual project, Northwind is able to meet challenges otherwise thought too costly or too demanding for conventional sign shops and materials. Our technical capabilities in CNC routing and engraving combined with our specialization of DuPont Corian materials, is design function in the highest form. 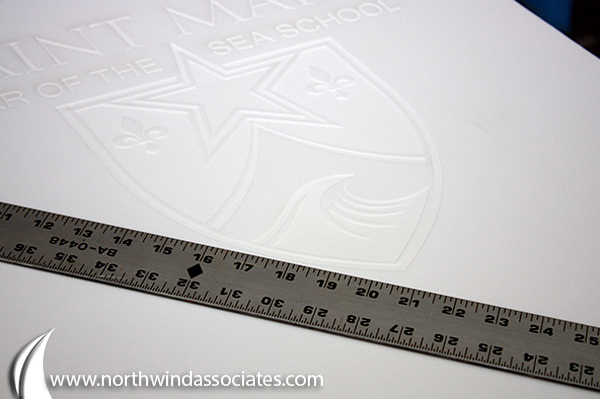 Look at our case study for a great design story from Northwind Associates. A unique process of integrating color photographs to solid surface signs often involves a combination of traditional techniques. One of the fascinating features of Dupont Corian solid surface material is its ability to act as a Dye-Sublimation substrate. The dye-sublimation process involves the transfer of ink from a paper transfer material to a sign substrate. The process provides the ability to use not only photographs, it is possible to transfer both text and graphics as well using an almost unlimited color palette. Dye-Sublimation together with both CNC Machining and Laser Engraving offers one of the most unique and comprehensive means of producing signs, facility details such as medallions, life safety and other types of architectural elements.